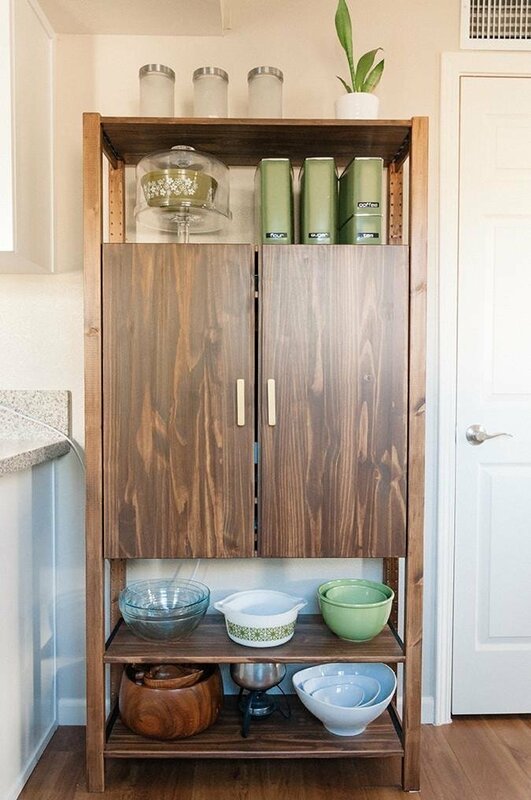 IKEA cabinets are prized in the DIY community for their incredible versatility allowing users to come with all kinds of ingenious storage methods. 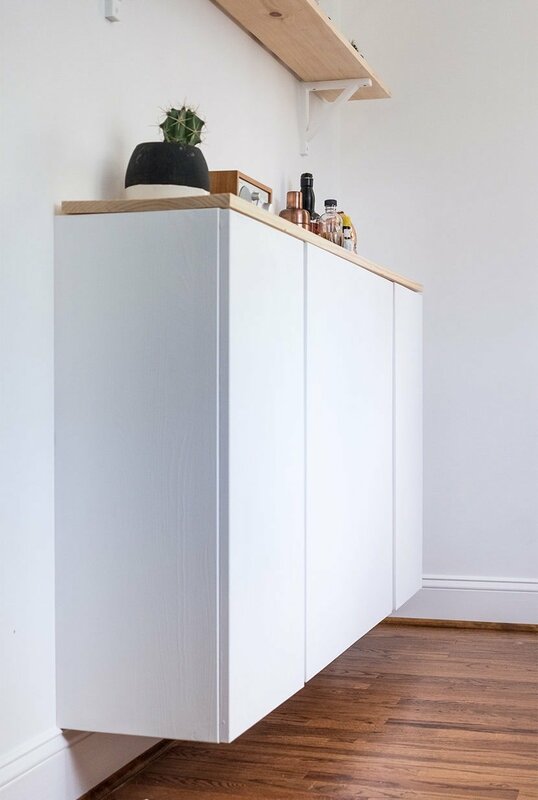 If you’re interested in finding out which are the best storage hacks involving cabinets from IKEA, you’ve come to the right place. We’ll take a look at some creative ideas which enable you to take a simple cabinet and customize it to provide stylish storage for any room. If you plan on making the best out of the available space, these IKEA cabinets can be configured to store things in an optimized manner. This is an interesting idea that uses cabinets to create necessary storage for a craft studio. Multiple IVAR cabinets can be purchased, painted, and installed on a dedicated wall. The result is stunning considering the great potential for organization. This is a relatively inexpensive DIY project to try when you take into account the solid storage benefits. 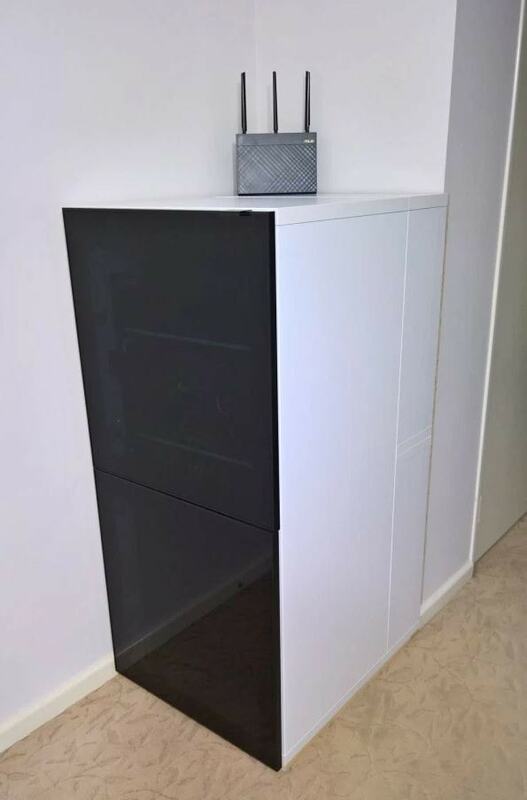 For those who plan on keeping all their networking equipment in one place, IKEA cabinets can be very useful. 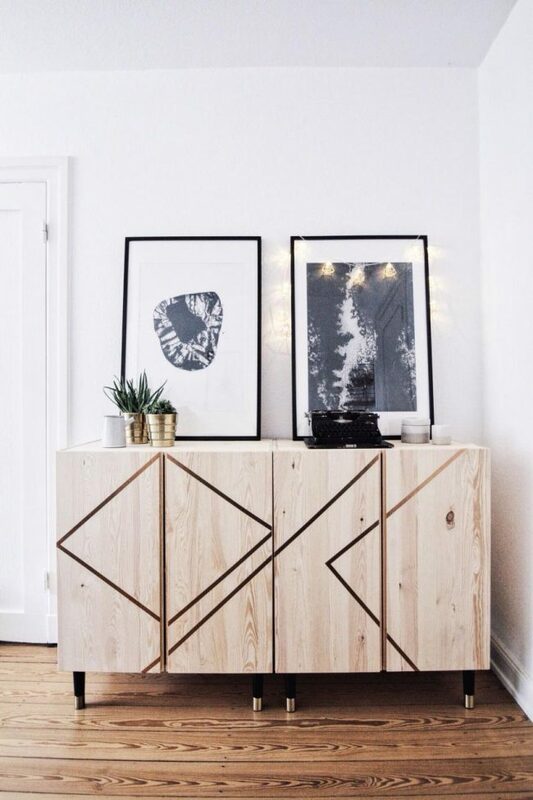 With the help of an IKEA STUVA frame and some other materials like a rack stand, this idea can easily come to life. To maintain a neat design, it’s recommended to install some glass doors. Although building this server cabinet isn’t that difficult, the costs can add up. Despite that fact, the end result is gorgeous so it’s worth a shot. Take a look at all the details of this DIY project here. IKEA cabinets can be reconfigured and transformed into desks without too many hassles. Another DIY project aims to do that by taking some IVAR pieces and crafting a stylish workstation for the computer. 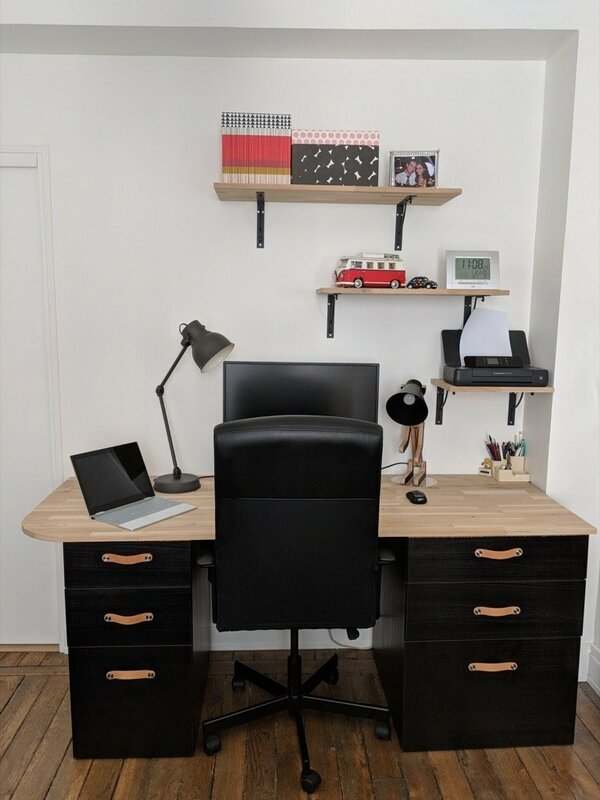 This desk is designed to take as little space as possible while also offering some extra storage space for other items besides the desktop computer and its accessories. With the help of some treatments like the walnut stain and brass details, this desk has received a stylish makeover that takes your mind to the Mid-Century Modern décor. If you’re curious about the steps required to obtain such a pretty space-saving storage solution, check out the full guide here. 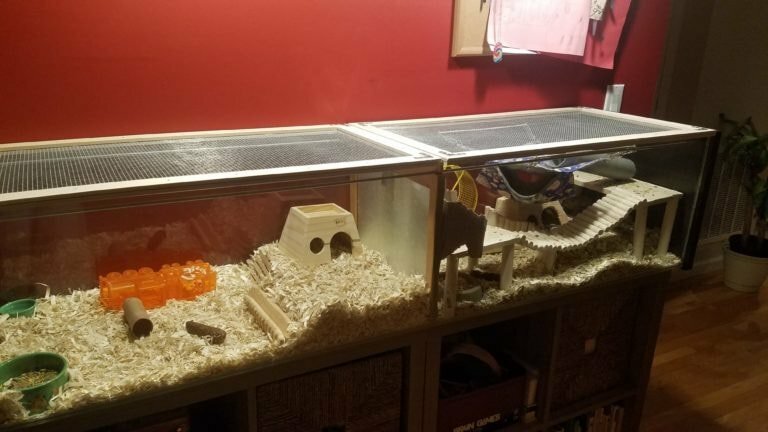 Hamster cages can get really expensive and their designs don’t always allow for much comfortable space. A cheap and easy solution to create a new house for your gerbil is to take an IKEA DETOLF cabinet and modify it to accommodate your furry friend’s needs. You will need a few materials, but the full process is relatively easy to go through even for novice DIYers. The full tutorial for this IKEA hack can be accessed at this link. IKEA cabinets are an ideal choice when it comes to selecting a better storage solution in the office. One aspect of IVAR cabinets that makes them so versatile is the way you can give them a colorful paint makeover and turn them into stylish furniture pieces. With a bit of effort, that corner of your office studio can suddenly become a focal point in the room. And the unit is also highly functional enabling you to organize all of your items more effectively. This is a lovely DIY project to try for adding a pop of color in the office. Bar carts can get quite expensive and not everyone has the space to dedicate for a home bar. 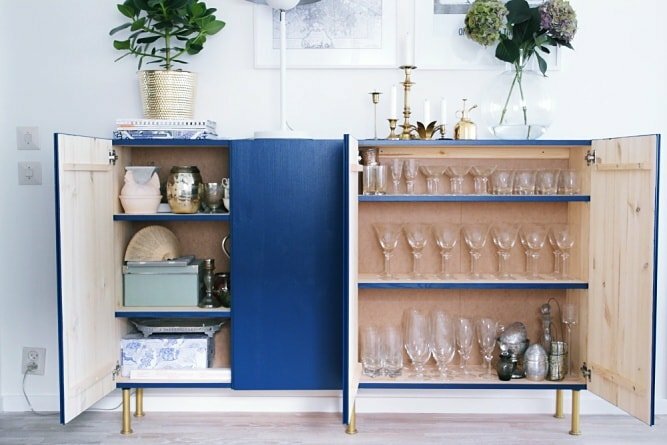 A convenient solution is to use an IKEA cabinet and adapt it to work as an elegant bar cabinet. It provides all the necessary storage space for your drinkware. To complete the look, you should paint the cabinet and get some suitable legs for it. Follow this link if you’re interested in this inexpensive DIY project. Do you have a blank wall in the kitchen? This could be an ideal spot to place a large storage unit. There are some problems with this idea though. You will often need way more space and remodeling a kitchen can get quite expensive. Instead of that cumbersome unit, consider grabbing some cabinets and shelves from IKEA and using this space more efficiently without breaking the bank. Take a closer look at the process involved to obtain this stylish and functional look, perfect for tiny kitchens. 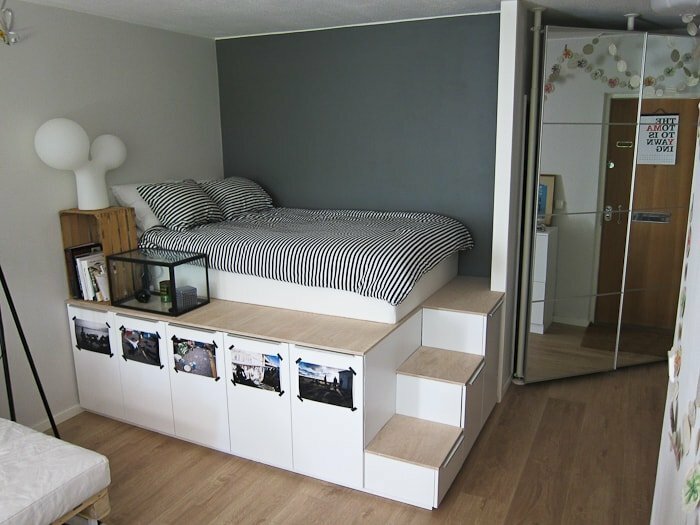 With the help of METOD cabinets, you can redesign the storage area around the bed. There’s always a need for more advanced storage in this spot and it looks like this IKEA hack can help you stay more organized. The cabinets are very practical and can be used to hold more than just clothes. It takes some work to get this DIY project done, but the final result can be extremely rewarding. 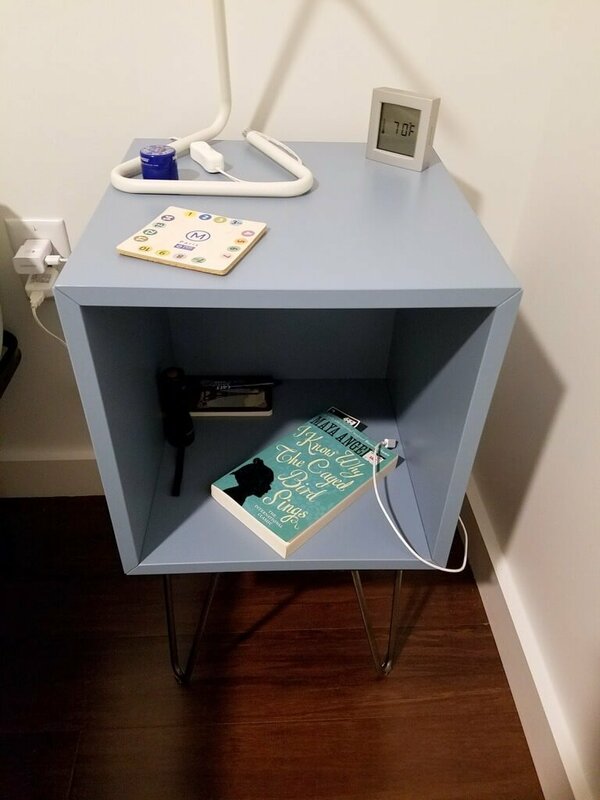 The EKET cube cabinet can be converted to a nightstand by attaching some fitting legs. This is a very simple IKEA hack to try which can provide adequate storage without sacrificing the aesthetics. There’s minimal effort involved in the assembling process and the only difficult part is finding some legs that match the cube design. Check out all the details on Ikea Hackers. The dining room is one place where you probably need an ingenious storage unit to hold various accessories without making the room feel crowded. 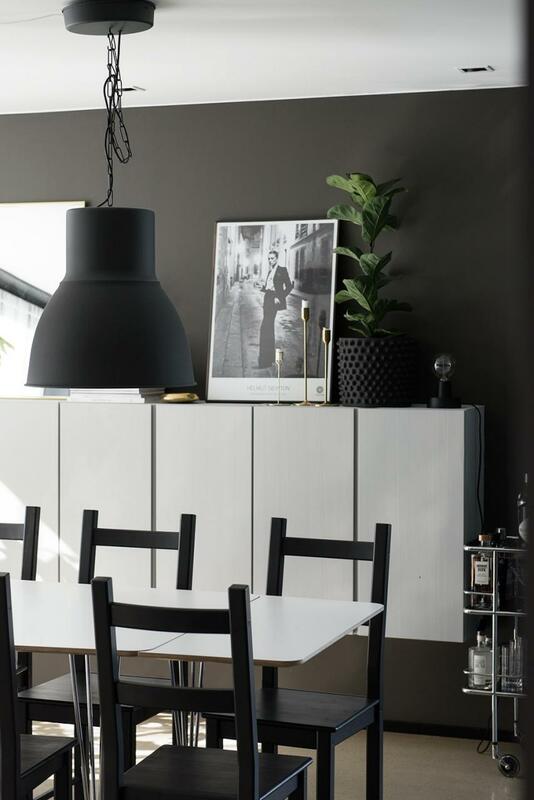 An IKEA hack that you should consider makes use of versatile IVAR cabinets that have been repainted with elegant silver tones to match the dark surroundings of the room. This is the kind of luxurious storage solution that seems to have cost more than it actually did. This an excellent project for any Scandinavian-style dining room. Sometimes the best way to enhance a storage area is by adding a personal touch. 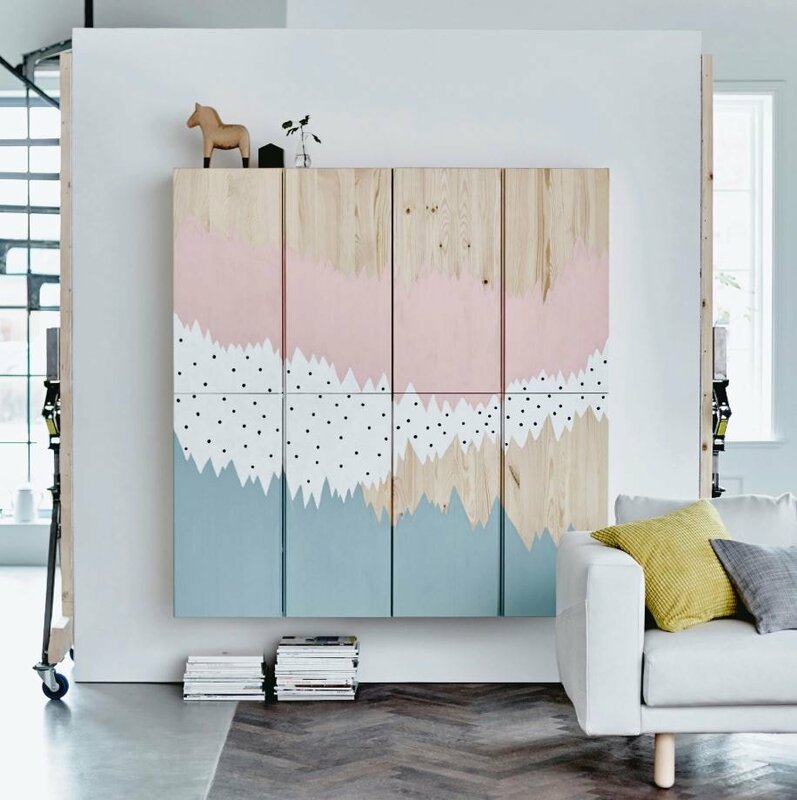 IVAR cabinets from IKEA offer the perfect canvas to let your creativity flow. Turning this powerful storage solution into an artwork is a breeze and it allows the cabinets to show off your personality. Aside from an enhanced look, you can count on these cabinets to offer functional storage suitable for any occasion. If you’re into creating novelty items or complete makeovers using a specific theme, you will probably like the Nintendo cabinet hack. 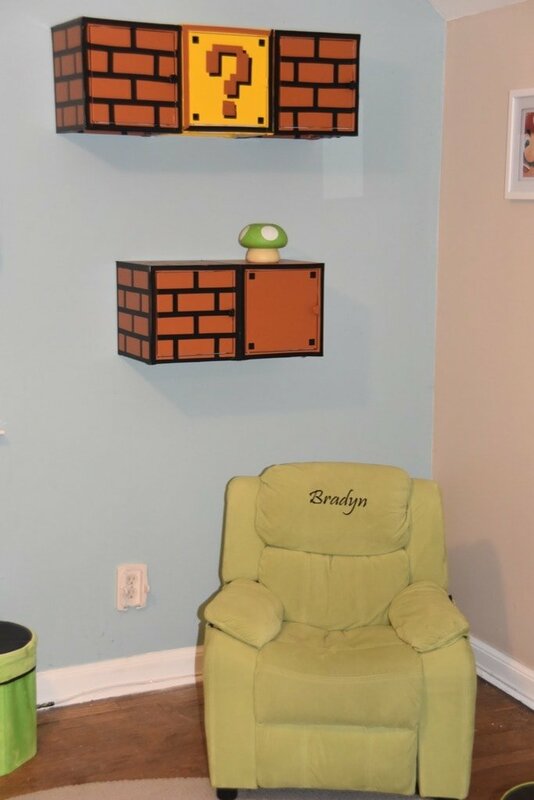 Take a simple LIXHULT cabinet and customize it to resemble Nintendo Blocks. This is not just smart storage, but also incredibly eye-catching. Check out the details of the process on IKEA Hackers. Those who like the idea of a workstation that gives off an industrial vibe should take a look at this IKEA hack. The project involves using several items from IKEA, but the main pieces that provide the industrial look are the black kitchen cabinet frames. Fans of custom-made items shouldn’t have too many issues with the building process. You might stumble upon some problems when it comes to fitting the desk in your particular space. In any case, go over at IKEA hackers to see the full tutorial for creating this industrial-style desk. 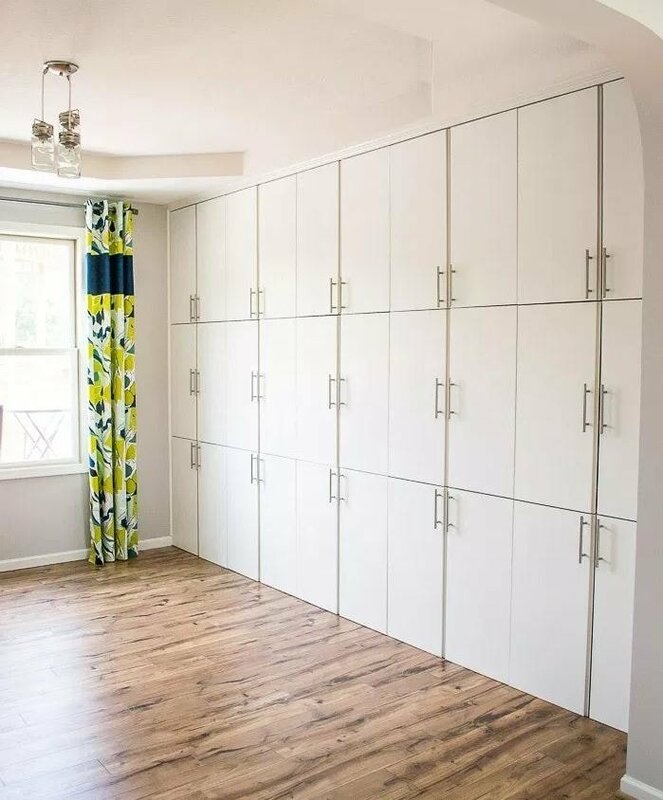 By combining multiple IKEA cabinets you can come up with some very interesting storage projects. 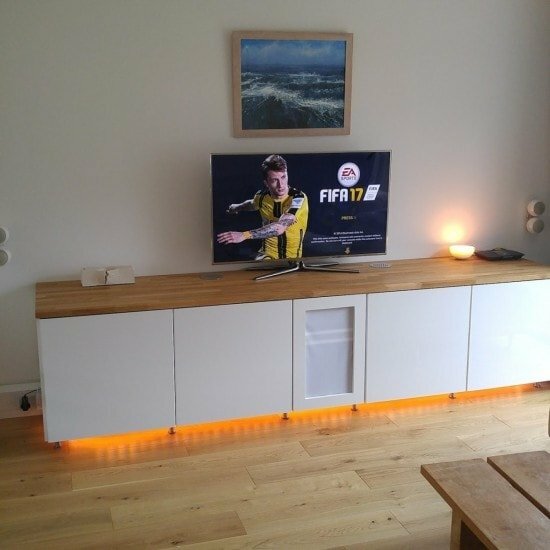 One great example is this DIY entertainment center built using METOD kitchen cabinets. It can store all the necessary electronic equipment like an AV amp or TV speakers. Building this project should be a relatively easy process considering how you don’t need to go over too many modifications. You will need to drill some holes to get the cables out. Instead of purchasing prefab furniture pieces you can design a more attractive entertainment center and save a lot of money in the process.